This item is currently out of stock and should be shipped 4-6 weeks. We recommend trying PHS Shampoos & Conditioners or Call 1 (800) 889-8967 for availability. 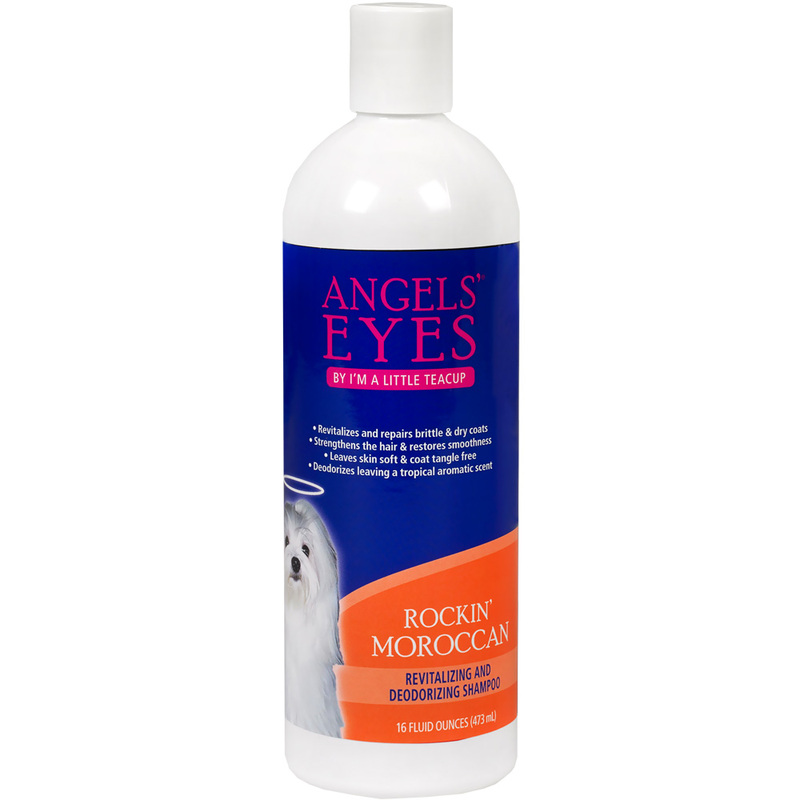 Angels’ Eyes Rockin' Moroccan Shampoo is ideal for restoring dry, brittle fur. This hydrating shampoo is ideal for pets with tangled or matted fur and works to strengthen hair to prevent knots from occurring in the future. This shampoo also works to improve the health of your pet's skin, moisturizing it to prevent scales and relieve itching. Angels’ Eyes Rockin' Moroccan Shampoo both eliminates pungent odor and uses a tropical aroma to leave your pet smelling great. This shampoo is made in the USA and is safe for dogs of all ages. If your pet has knotted fur then order this shampoo today! Water, Sodium C14-16 Olefin Sulfonate, Cocamidopropyl Betaine, Didodium Cocoamphovdicetate, Sodium Lactate, Glycerin, Argania (Argan) Spinosa Kernal Oil, Aloe Barbadensis (Aloe) Leaf Juice Extract, Carthamus Tinctius (Safflower) Seed Oil, Triticum Vulgare (Wheat) Germ Oil, Retinyl Palmitate (Vitamin A), Tocopheryl Acetate (Vitamin E), Glycol Distearate, Coco-Glucoside, Glyceryl Oleate, Glyceryl Stearate, Sodium Chloride, Citric Acid, Methychloroisothiazolinone, Methylisothiazolinone, Fragrance, Blue 1, Red 40, Yellow 5.